I am very happy with the service rendered by you to Music. It is not only a pleasant entertaining site but also A Music Institution. Sangeet to jivan deta hain. Uski sewa ke liye 2-4 jindagi bhi kam hain. keep it up buddy. Ish raste par chalte raho.Nirash nahin honge. Bahut sundar. Thanks so much for those music clips. Great site! Its been long time that there is no post from you. You have made our expectations too high. Missing it too much, please come back. by opening this site, she is herself a great artist . i have no words how to say thanks for this great job. i want to take some tips of music from her, how my dream will come true i do not know. 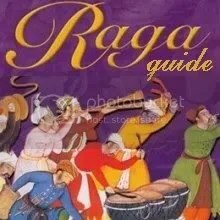 I just landed on this site and found it to be a treasure trove of indian classical music. I salute you for bringing all this treasure before us.